My quest for Inter-City train (to build the 7740 Inter-City Passenger Train from spare parts) has been mostly dormant since I found myself again lacking plates, waiting for the right moment to resurrect it. 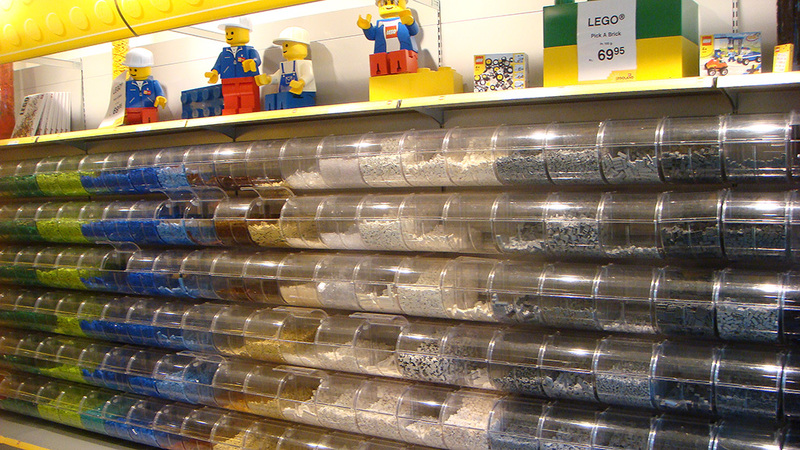 I did, however, pay a little attention to the project when re-visiting LEGOLAND Billund and the LEGO Shop there. Namely, I explored the local Pick a Brick wall and the Build a Minifigure station, shown partially below in my two 2012 pictures. 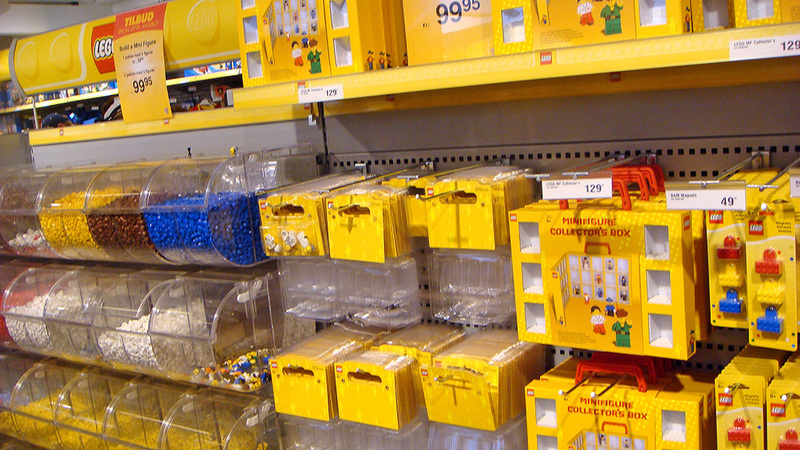 Although the brick à la carte selection at the world’s largest LEGO Shop in Billund is impeccable, as is the Build a Minifigure station there, the reality of exactly how large the overall LEGO part selection is hit home again. Only a very limited portion can be available at even the largest of stores. For example, 7740 Inter-City Passenger Train included 10 minifigures and given the year, 1980, all of them of rather simple compositions – yet I had trouble acquiring anything beyond pants at the Build a Minifigure. There were no classic faces or shirts available (I know some of them are still manufactured), although there were some classic accessories. P.S. 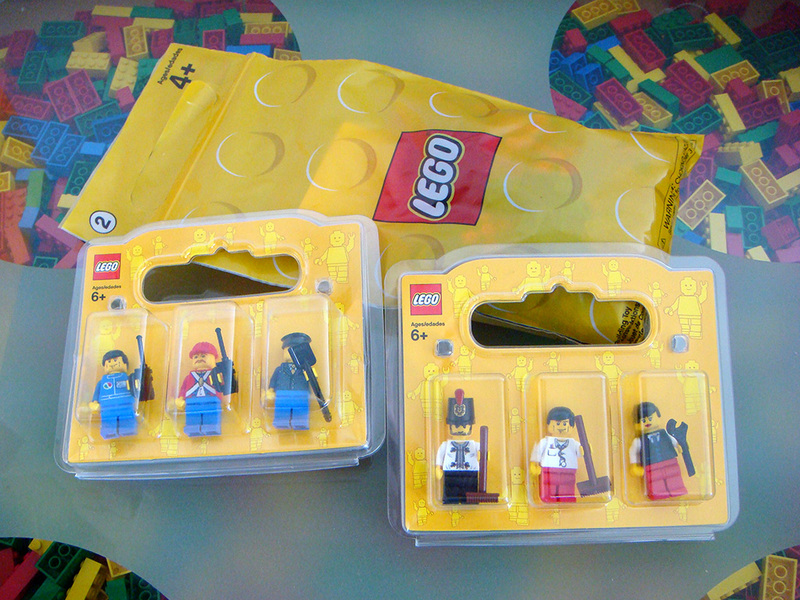 While the Build a Minifigure station sells only full minifigures, the Pick a Brick wall sometimes has minifigure accessories as pay by weight. Last year my son bought a bunch of minifigure construction hats there. He has more construction hats than minifigures probably.